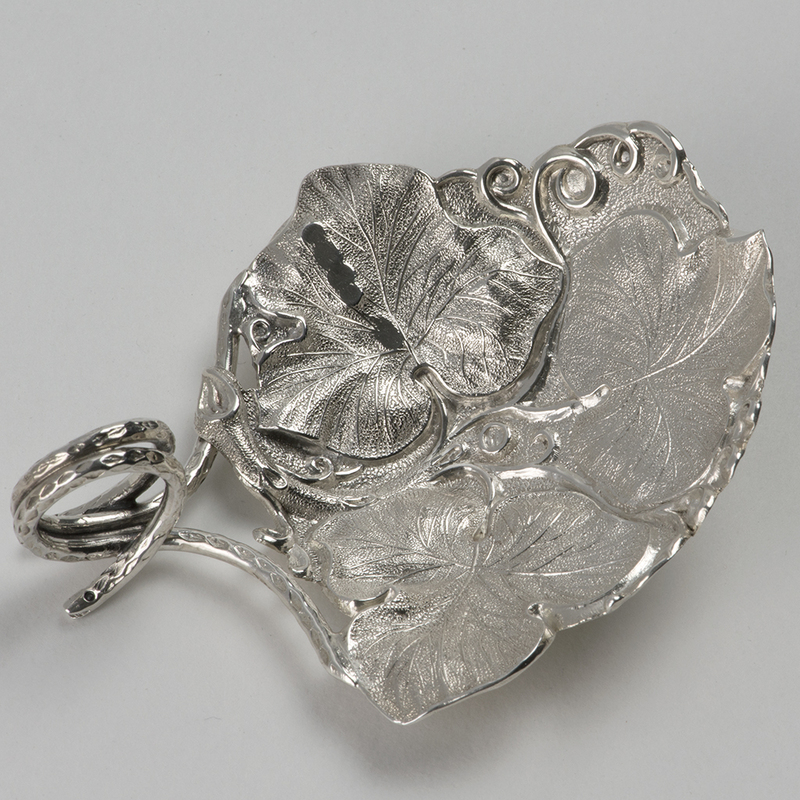 A George IV silver Caddy Spoon formed from vine leaves. 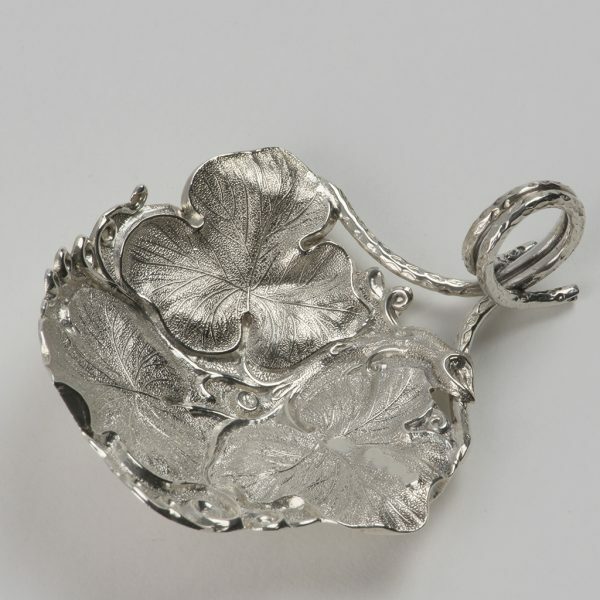 A good George IV silver Caddy Spoon, London 1829, by Robert Hennell, the bowl formed as three vine leaves with tendrils and the handle as two conjoined encircled branches with snake-head ends. Send Enquiry for A George IV silver Caddy Spoon formed from vine leaves. 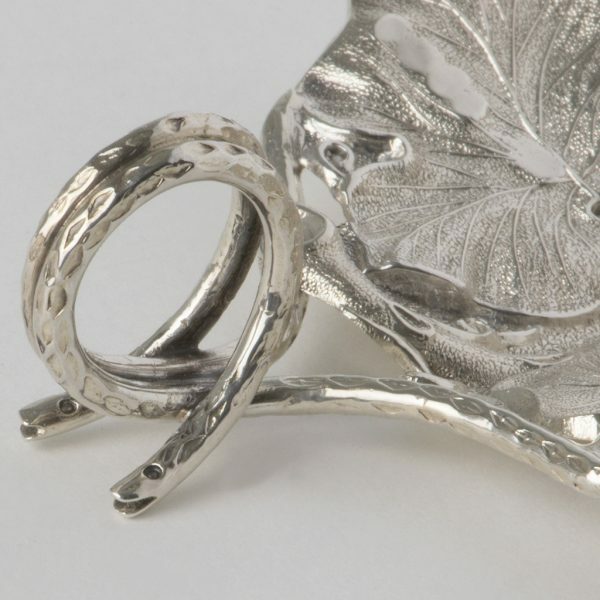 Length – 7.20 cm. ; Wdith – 6.10 cm. 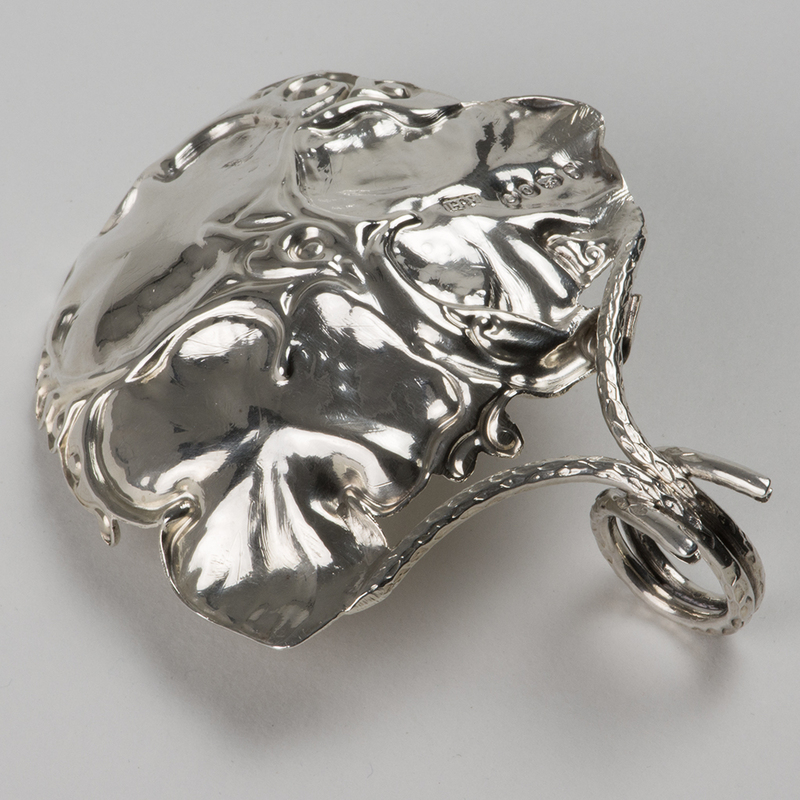 ; Depth – 2.60 cm. 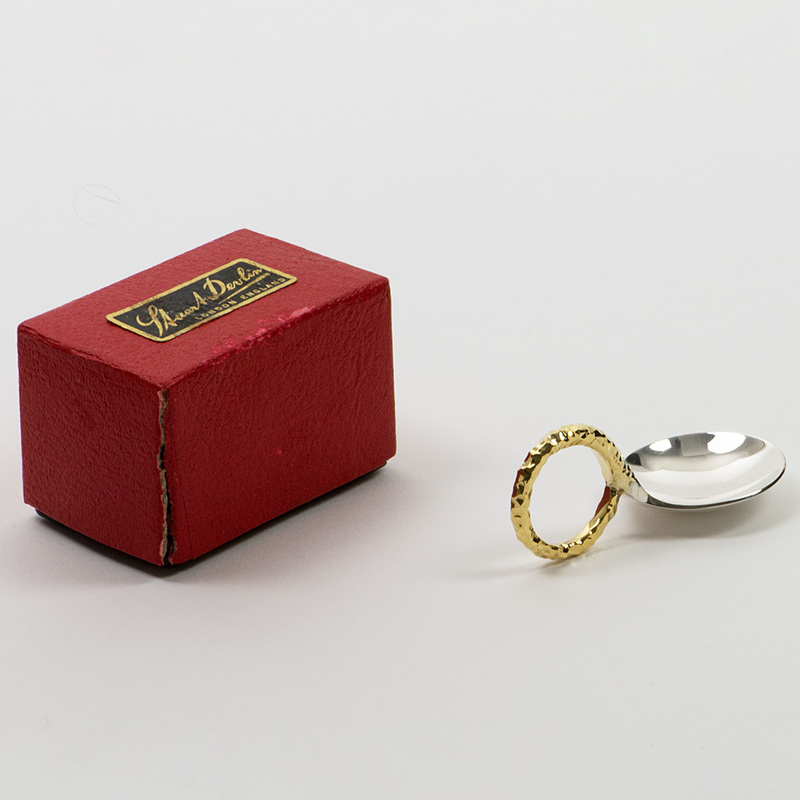 ; Weight – 23.70 gms. A rare Victorian silver Teastrainer. Send Enquiry for A rare Victorian silver Teastrainer. 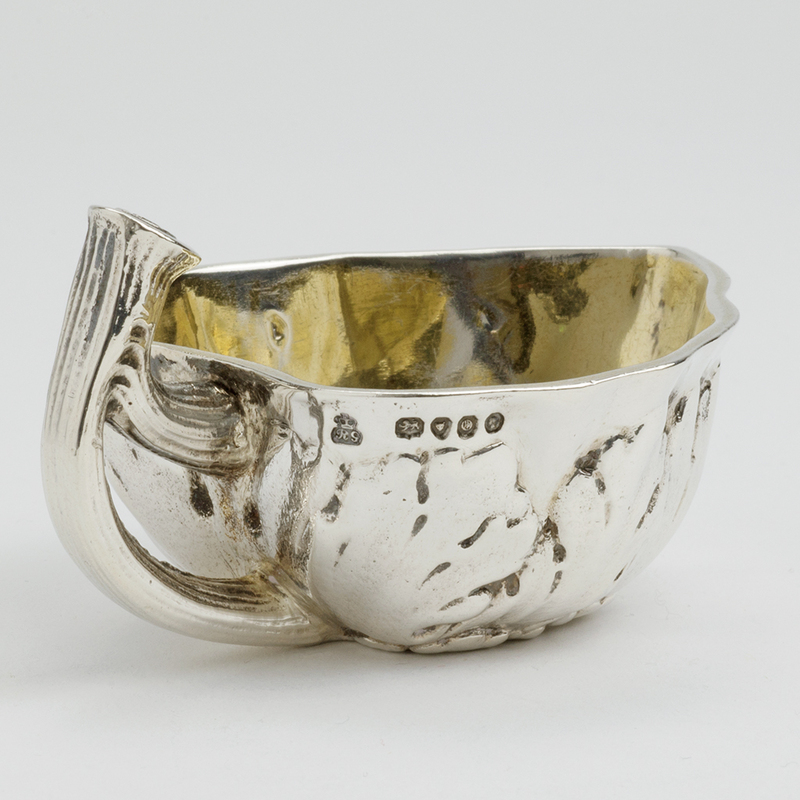 An unusual Victorian silver Cream Jug. 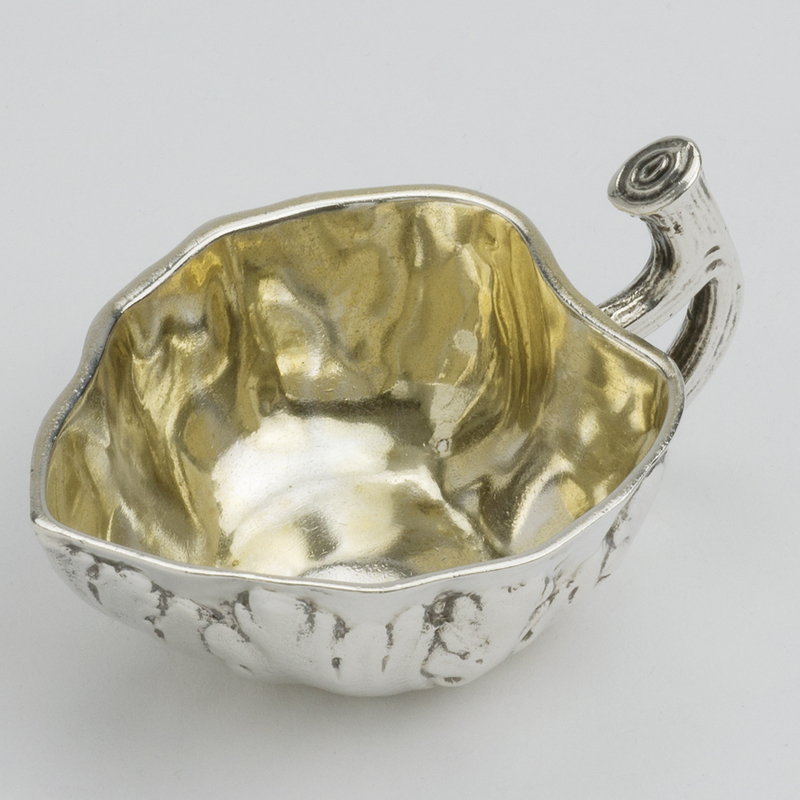 Send Enquiry for An unusual Victorian silver Cream Jug. 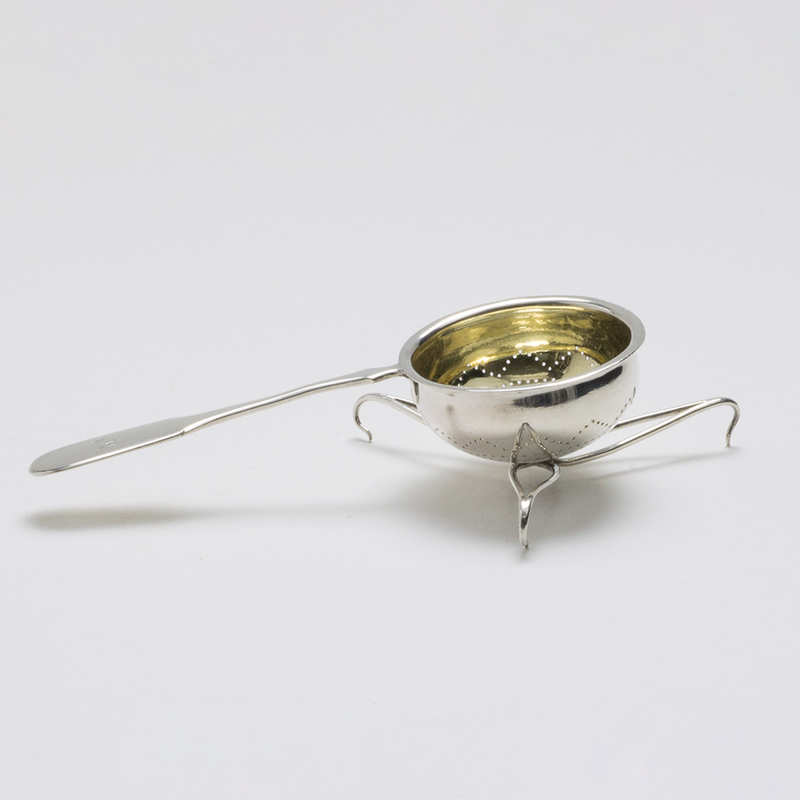 A Stuart Devlin parcel-gilt silver Caddy Spoon. 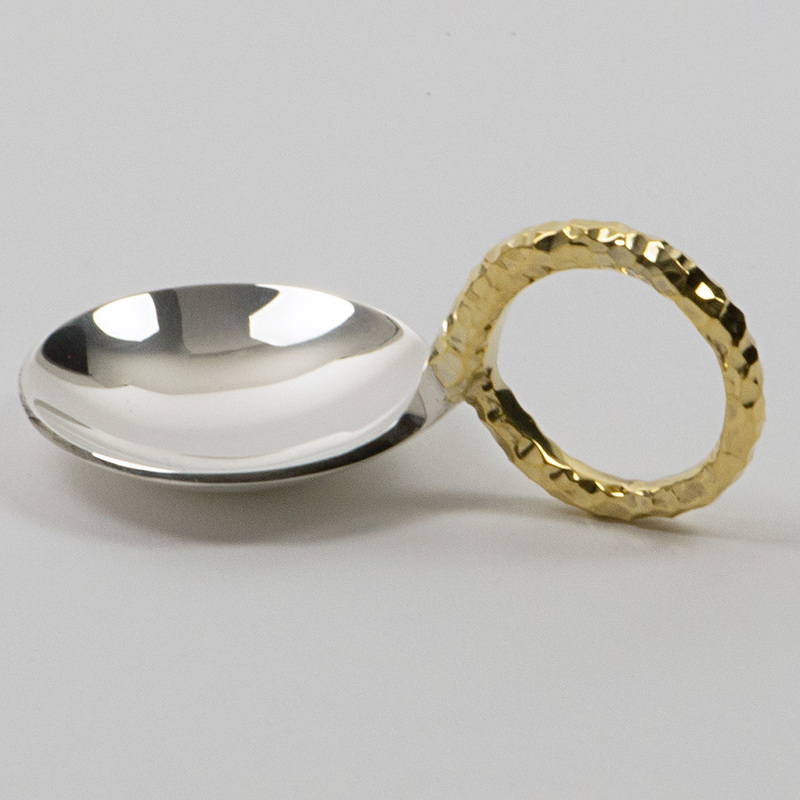 Send Enquiry for A Stuart Devlin parcel-gilt silver Caddy Spoon. 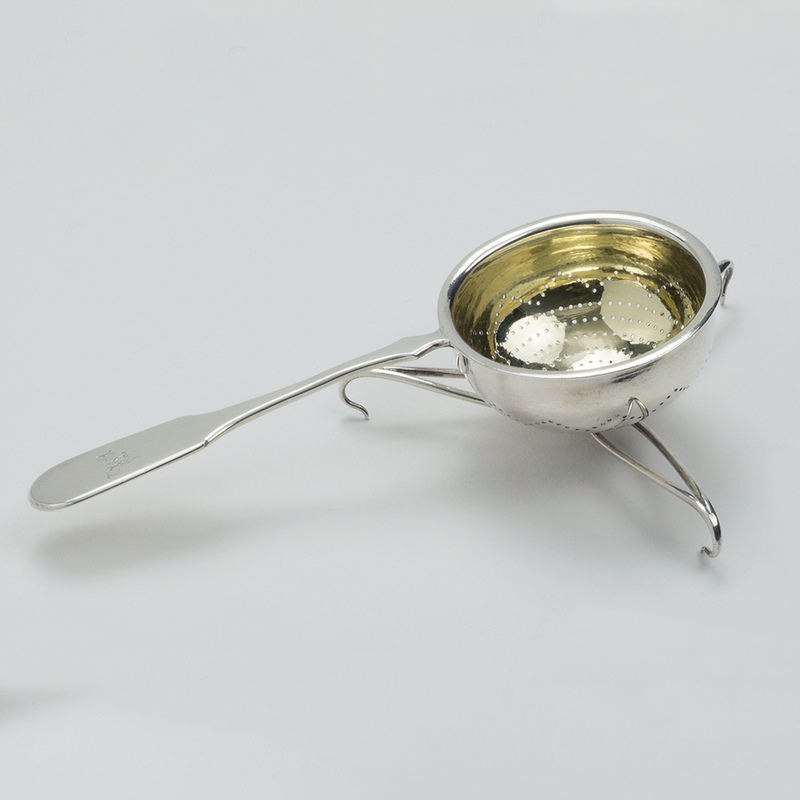 previous post: A set of three Victorian silver ‘tudor’ Salt Spoons. 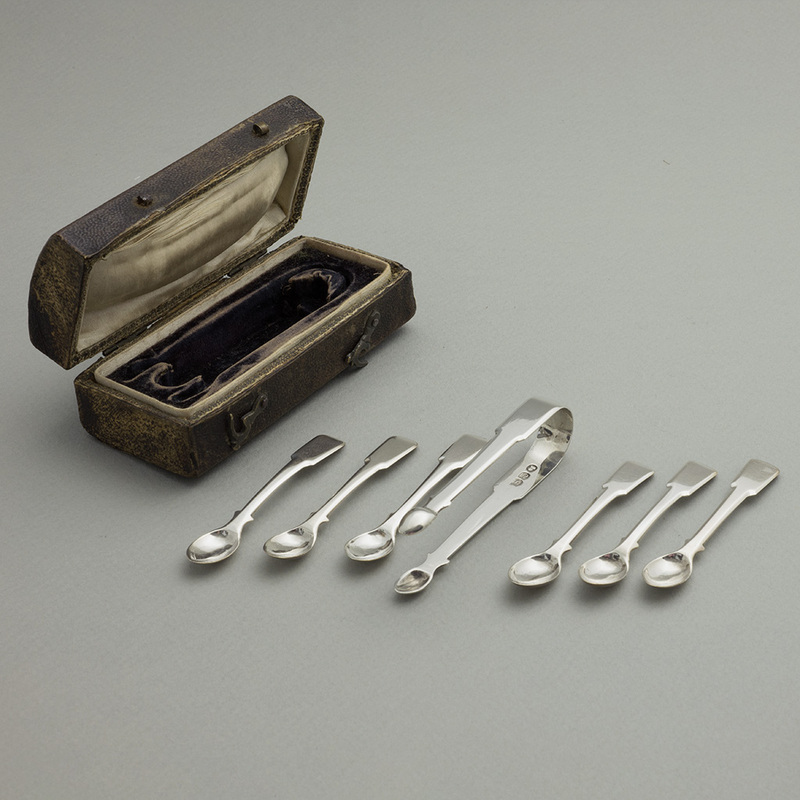 next post: A set of six silver Spoons by H.G. Murphy.